The recent unveiling of the 2016 Nissan Maxima at the New York International Auto Show has car buyers buzzing about the brand’s flagship sedan, available used at OffLeaseOnly for thousands less than the competition. 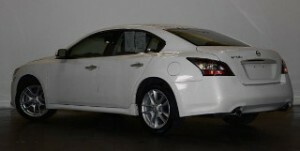 While Nissan fans must wait for 2016 model to become available, OffLeaseOnly has slightly older used Maxima models immediately available for thousands less than retail. 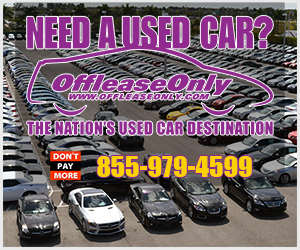 OffLeaseOnly has nearly 40 of these beautiful used luxury sedans equipped with amenities such as moonroof, power seats, Bluetooth, pushbutton start, keyless entry, tire pressure monitoring system and cruise control ranging in price from $17,999 to $18,999. 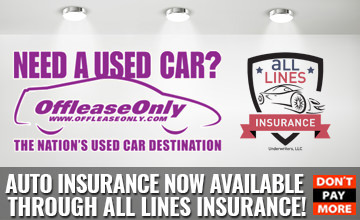 OffLeaseOnly sales personnel say customers love the car’s looks and performance. Valeo recently sold three OffLeaseOnly used Nissan Maxima models to customers who chose the used car for its style and performance. “Nissan is a very good handling car. 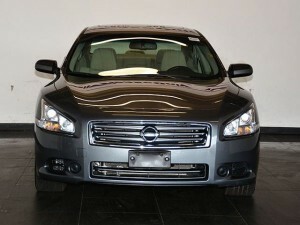 These customers knew they wanted a used Nissan Maxima and were excited to save thousands at Off Lease Only!” Valeo said. 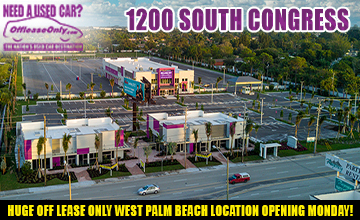 OffLeaseOnly sales associate Russ Cosolito recently sold four OffLeaseOnly Used Nissan Maxima models. He said his customers love the amenities that come with many of the Nissan Maxima models as well as the economy the sporty-looking sedan offers. 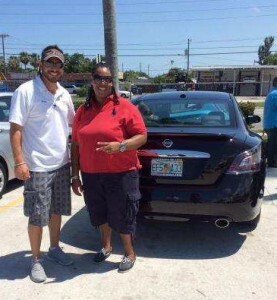 OffLeaseOnly sales associate Russ Cosolito and customer Twanna White with her 2014 used Nissan Maxima. Riviera Beach resident Twanna White recently bought a maroon 2014 OffLeaseOnly used Nissan Maxima from Cosolito and couldn’t be happier. She loved the color, the stying, the price and the ride! White, who has owned Nissan Altima models in the past and still has one, already knew she loved the brand. 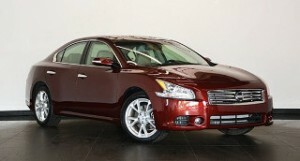 But when she saw the Nissan Maxima at Off Lease Only, she fell in love. 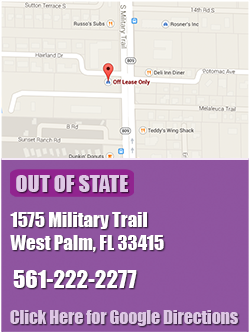 OffLeaseOnly sales associate Jerry Jerido said customers love the OffLeaseOnly used Nissan Maxima models for their sporty extras like paddle shifters, panoramic roof, and navigation. Jerido has sold the OffLeaseOnly used Nissan Maxima to a mix of customers, ranging in age from very young to middle-aged. “It could be viewed as a sporty luxury car,” Jerido said. 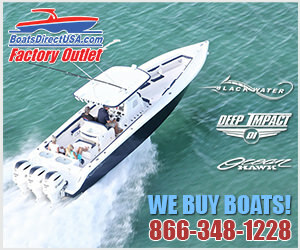 “It’s the best of both worlds – it’s got a lot of pick up – and it has paddle shifters like a Mercedes or a BMW. It gives a little more ‘umpff’ when you drive it which makes driving fun!” Jerido added. 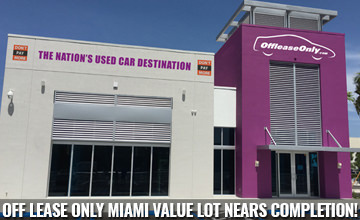 ← Previous Story OffLeaseOnly Miami Salesman Sells Record-Breaking 71.5 Used Cars in May! 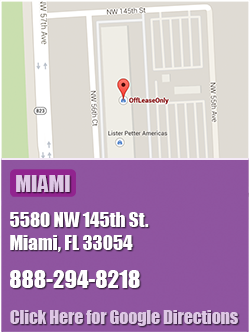 Next Story → OffLeaseOnly is the ONLY Place to Buy a Used Luxury SUV for Less!